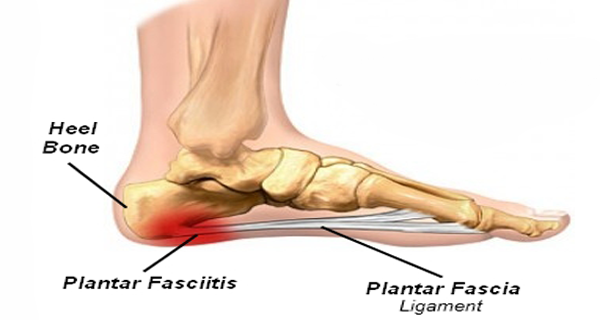 Plantar Fasciitis is one of the most common causes of heel pain, and is characterized by pain and degeneration on the flat band of tissue, called the plantar fascia, that connects your heel bone to your toes. The plantar fascia exists to support the arch of the foot. When strained, the plantar fascia gets weak or degenerates and causes the bottom of the foot to hurt when standing or walking. >Plantar fasciitis is common in runners, as well as those who spend extended periods of time on their feet. It is also common in people who are overweight and people who wear shoes or boots without proper arch support. However, the disease may happen to anyone. Plantar fasciitis is known to cause stabbing pains that can often come and go throughout the day depending on a person’s level of activity. The pain is usually the worst in the mornings or after sitting for a long period of time. The precise cause of plantar fasciitis is not known, but it is attributed to repeated tearing of the plantar fascia. Under normal conditions, the plantar fascia acts a shock absorber that supports the arch of the foot. With increased tension, small tears can develop, which can cause irritation and inflammation over time. •	Stiffness and pain after sleeping or resting, may come and go throughout the day. Sometimes activity improves the pain. •	Pain when standing for extended periods. •	Pain while running or during exercise; pain after a cool-down period is also common. •	Pain after prolonged activity. Treatment for plantar fasciitis has several goals including: relieving inflammation and pain in the heel, allowing any microscopic tears in the plantar fascia to heal, and to improve the strength and flexibility of the foot to prevent further damage to the plantar fascia. •	Supportive shoes that address arch issues and lifestyle activities are often the first step toward alleviating pain from plantar fasciitis. •	Physical therapy for plantar fasciitis includes a variety of exercises designed to stretch the plantar fascia, Achilles tendon and to strengthen muscles in the foot and lower leg. The goal of physical therapy is to increase strength and flexibility in the foot, ankle and heel to increase stability. Also, a good physical therapist will address any associated hip or knee dysfunction. • In many cases, splinting and taping will be used in conjunction with physical therapy. Splints and taping are done to stretch the calf and the arch of the foot, holding the plantar fascia and tendons in a stretched position. Often times, your doctor will recommend that splints be used overnight. Taping provides support during activity. •	There are many types of orthotics available to treat plantar fasciitis available. Your doctor may prescribe a heel cup, orthotic insert or cushion to help support your foot and distribute pressure more evenly. Structural orthotics, like have been shown to work better than simple cushions. Innovate Comfort Shoes sells several different types of shoe that will help relieve the pain of plantar fasciitis. The key to getting rid of your heel pain for good is to do the best you can to allow your bone to heal. This also means that it is not enough to wear supportive plantar fasciitis shoes only while exercising, but ideally also at work or other everyday activities. This is especially important if you are on your feet a lot. Wearing a well-cushioned pair of shoes can prevent heel pain, no matter if you are at work, on shopping tour or just taking a walk through the park. The majority of our shoes come with supportive, cushioning footbeds and insoles, which are ideal for those suffering from plantar fasciitis. Dr. Comfort’s gel inserts can be especially soothing, and their lightweight athletic shoes can be a huge help. 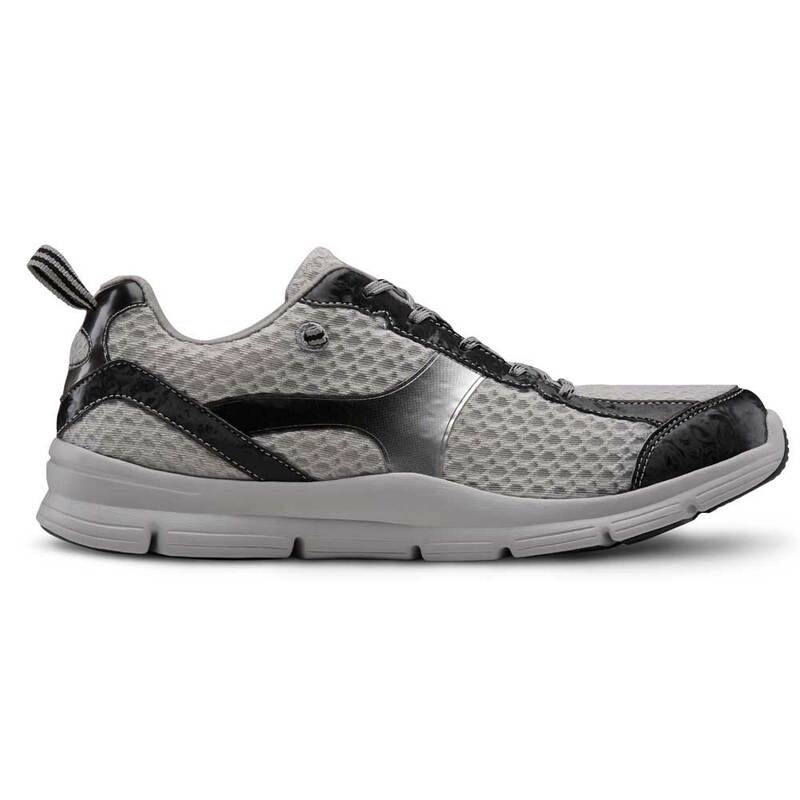 The Xelero shoe line also has many features that can provide comfort and healing. The Xelero Propulsion Element carries the foot through the gate cycle while the control plate stabilizes the foot and maximizes flexion. Also check out their InStride line of shoes for casual comfort shoes that will ease the pain of plantar fasciitis. >Look for a shoe with a double depth insert so that you can customize your cushion and support to your own foot. This type of customization is essential for dealing with the heel pain of plantar fasciitis. Last but not least: a good plantar fasciitis shoe is supposed to keep you pain-free – even at the end of the day. >If you’re suffering from the pain of plantar fasciitis, give us a call. We’re happy to match the right shoe with your lifestyle and foot needs. We’re experts at helping you to find the perfect fit.